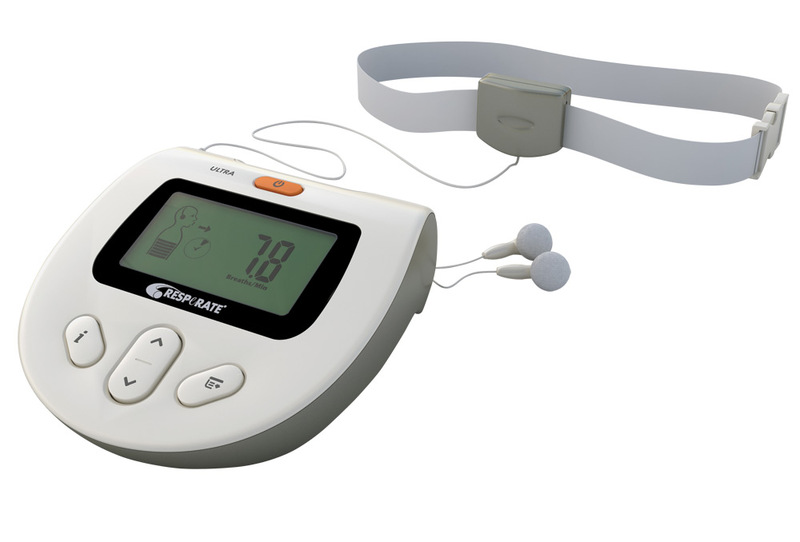 ► Adapta is equipment-assisted program for measuring and reduction of physiological work-related stress impact. Download a very short presentation of the program from this link. ► Stress profiling of the employee's individual response stereotipy to stressors of sensory, cognitive or emotional type. ► Telemonitoring of employees' recuperation level for advanced detection of negative trends in mind-body health by tracking of heart rate variability (HRV). 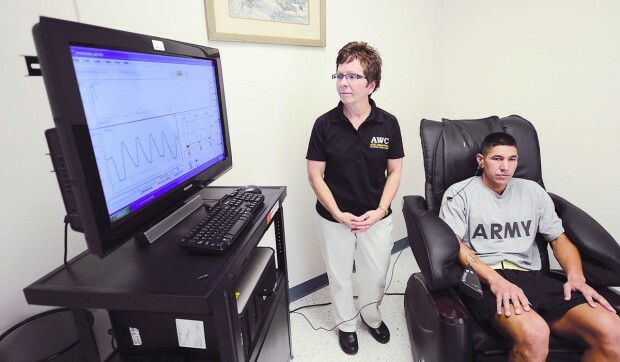 ► Biofeedback stress-resilience training for improving the ability to maintain calm concentration in demanding environment as well as the quality of sleep. 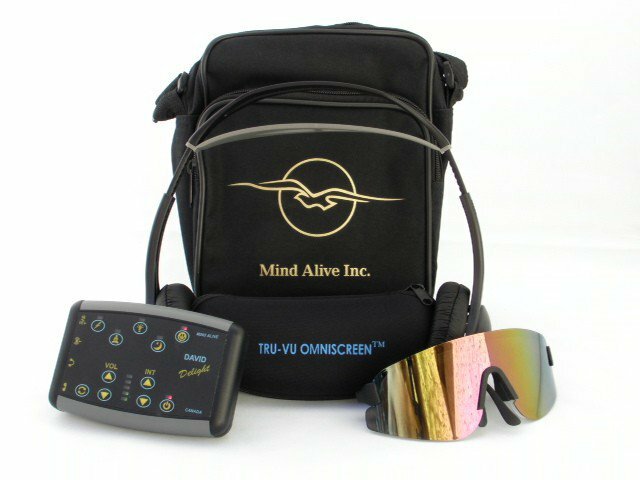 ► Rapid & effortless stress reduction by means of non-invasive brain stimulation technologies promoting mental relaxation and recovery of brain fitness for work. ► Sensory-motor control balance training for prevention of musculoskeletal disorders, stress reduction and preservation of brain & mental fitness for work. Your HR, OH, corporate wellness or EAP program and Adapta. Adapta is created with human resources(HR) training, occupational health (OH) and employee assistance programs (EAP) in mind and it is meant to be integrated easily into them. It directly contributes for EAP/ OH programs’ market differentiation through the use of evidence-based assessment & treatment tools supporting demonstration of programs’ effectiveness/ROI, proactive health prevention and adopting responsibility for learning of self-regulation & stress management skills. All of the Adapta services are designed to fit in the short-term model of counseling used in the employees assistance programs (EAP). Most of the Adapta services can be supported by Skype or e-mail without the need of face-to-face counseling. Below you can find short descriptions of the 5 components of the program, the benefits you will get from using it in your activity, information about how we can help you to implement it, research supporting the methods we use and our contact details. The ability to focus attention to the task at hand and to recover quickly from stress is essential for performing one’s best in many occupations today. Like any other states of mind, distractions, concentration and stress response reactions are physiologically embodied. Biofeedback technology measures in real time physiological changes in response to sensory, cognitive or emotional stressors. The results from the measurement help to identify the worker’s individual response stereotypy to stress as well as the presence or lack of recovery after each stressor. ► Better knowledge for worker’s individual response stereotypy to job stress and stress coping style. ► Prediction for the physiological price which the worker will pay for adapting to the job stressors. ► Assessment of the worker’s ability to recover in timely manner from stress. ► Advanced prediction of trends for stress accumulation, loss of energy or burn-out when working in specific job roles. ► Assessment of the worker’s capacity to adapt to the stressors and requirements of the relevant job role. ► Getting insights for adjustment of health & safety or training programs. ► Selection and personalization of the appropriate stress reduction methods corresponding to the worker’s needs. ► Prevention of potentially incorrect conclusions from psychometric tests associated with average norms, cultural influences, providing of socially acceptable or false answers. ► Useful tool for objective measurement of stress reactions applicable to workplace stress prevention audits, HR recruitment or employees assistance programs (EAP). ► Very easy and fast implementation in your organization - we undertake the analysis of the data, you just need to have the low-cost hardware, make the measurement after our instruction and send us the data file by e-mail. After that we shall send you back the results and our conclusions in a stress profile report. ► Click here to get more information and videos about the method & technology, how to apply them in your organization and reserach behind them. 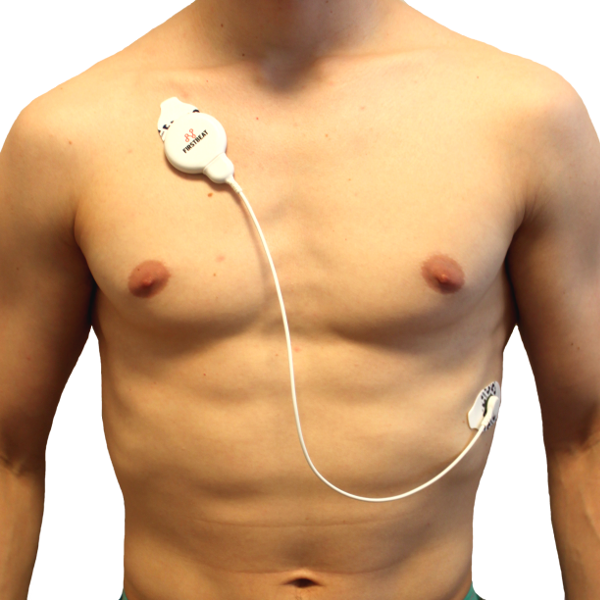 Heart Rate Variability (HRV) bio-monitoring is a rigorously proven scientific method for measuring, analysis and tracking of the vital mind-body capacity associated with the potential to cope and adapt to mental and physical challenges. It has long history of applications in the occupational workplace stress studies, sport recovery science, aerospace missions, hospital care, applied psycho-physiology, social psychology and pharmaceutical research. Autonomic nervous system maintains balance in the body by regulation of the functions of the internal organs. It adjusts the energy consumption processes, regeneration and immune defence according to the needs of the organism and the external demands necessary for adaptation to the environment. Negative trends in the autonomic nervous system balance precede the impairments in the cardiovascular system, chronic fatigue, body metabolism and various stress-related disorders. In this way quantitative analysis of the abnormal autonomic deviations can be used as the earliest indicator for prognosis of health disturbances coming into near future. ► Adaption capacity of the worker. ► Level of regeneration of the organism after heavy physical and mental workloads. ► Early detection and prevention of physiological states preceding chronic fatigue, accumulated stress, reduced fitness for work or pre-nosological states of the organism. ► Reduction of company financial costs, risks and losses associated with mistakes due to reduced fitness for work, chronic stress, chronic fatigue, poor recovery, sick leaves, absenteeism or presenteeism. ► Better work-regime organization and assessment of the effects on the body resulting from specific health & safety activities. ► Very useful tool for objective measurment and supporting the effectiveness of your workplace stress prevention audits and employees assistance programs (EAP). ► Very easy and fast implementation in your organization - we undertake the analysis of the data, you just need to have the low-cost hardware, make the regular measurements after our instruction and send us the data files by e-mail. After that we shall keep electronic health record for every measured employee and send you advanced warnings in case of worsening of employees' health or recuperation level. ► Click here to get more information and videos about the method & technology, how to apply them in your organization and research behind them. Concentration is often taken for a freely available resource by default. However the ability to select and focus on important task-related stimuli and ignore the distractions is what separates the good from exceptional performers in sport, business and many risky occupations. Attention is one of the rarest resources in today’s economic environment. Attention deficit as psychophysiological state remains unnoticed but problems related to it are massively spread in the school rooms, clutters in the business communications and ever increasing costs for attracting new customers’ attention. In today’s information era the ability for voluntary paying attention is overloaded by the huge amount of new coming information. Paying attention for longer times has its physiological price which is reflected by fatigue, irritability, higher levels of stress and mistakes at performing the task at hand. Biofeedback technology is a scientifically based approach for coping with the challenge to maintain concentration and make it more stable. When people are under emotional stress or mental loads their bodies reflect this by increased sweating, chaotic changes in the heart rhythm, breathing and specific brainwave alterations. ► To recognize and influence his or her biological processes and thus to regulate the level of tension and stress. ► To restore and strengthen the limited resource of voluntary attention and productive capacity. ► To focus better attention on the task related stimuli and to ignore the distractions. ► To better regulate his or her emotional reactions towards abrupt changes and stress. ► To relax and recuperate attention in micro-brakes. ► To strengthen and train his or her attention in a systemic and measurable way, similar to the muscle weights training. ► To affect positively sleep quality and stress-related psychosomatic health disorders. ► Very easy to implement in the activity of your organization - we can train some of your employees ( usually occupational psychologists, H & S or HR specialists ) how to apply the different biofeedback methods or we can undertake the training of your employees by Skype ( in this case you just need to have the low-cost hardware & software installed on some of your computers ). In today’s business environment the ability to employ continuous and intensive efforts until reaching the desired results is rewarded as an essential skill and attitude. This pays off fast in short-term but maintaining of close-to-maximal efforts every day may bring in long-term negative mind-body changes, burnout and wearing of the organism. Optimal productive capacity is possible after quality mental and physical recuperation. Critical factors for good recovery are having enough time for rest and sleep, good nutrition and mental calmness. Autonomic nervous system recovers the mind and body after intensive mental or physical demands. Its job is exceptionally vulnerable of continuous emotional stress and nervous tension. Rational thinking and creativity are hindered by heightened emotional arousal, anxiety or low mood. ► Normalization and stabilization of electro-chemical functioning of the brain at stress-related conditions and disorders. ► Most users will slide down effortlesly to a state of deep mind-body relaxation in only 5 to 8 minutes. ► At the end of the session the voluntary attention and productive capacity will be restored. ► Hyper reactivity to stressors will be reduced which positively influences interpersonal relations. ► There is marked improvement in the quality of sleep especially when the sleep is affected by mental stress, jet lag, chronic pain, shift work, seasonal affective disorder (SAD) or winter blues. ► Deep muscular relaxation. Blood flow in the brain and the whole body is improved. ► Very easy and fast implementation in your organization. Immediate application without need of long training or specialized personnel to run it. We shall provide you free 1-2 hours training which will give you all the necessary knowledge how to use the equipement in a safe and effective manner. ► Efficient stress reduction - disengagement of attention from anxiety-provoking thoughts is easy, fast and effortless while balancing on the board. ► Enhanced awareness for muscles' tension levels and posture leads to better brain-muscle coordination and reduction of muscle disbalances, which is one of the main reasons for chronic muscle and joint pain. ► Better neuro-muscular control leads to better breathing and blood pH with far reaching overall benefits for the health. ► Improved & preserved brain fitness for work - balance training re-calibrates and improves brain processing speed, reaction time, sensory integration, spatial awareness, hemispheres communication, brain timing, proprioception and neuroplascticity. These are basic neurological processes which define the effectiveness of all learning activities. ► Click here to get more information and videos about the method & technology, how to implement them in your organization and research behind them. ► Mind and Body rest or recovery is essential for maintenance of health & performance in work and therapy settings as well as in everyday life. WHAT ARE THE BENEFITS FOR YOUR OCCUPATIONAL HEALTH OR EMPLOYEE ASSISTANCE PROGRAMS ? ► Employees' therapy, counseling or training is evidence-based. ► Effectiveness of the regular therapy or training you already provide is significantly increased. ► You can provide cost-effective and very positive health-preventing, relaxating, stress-reducing & regenerative experiences for the employees. 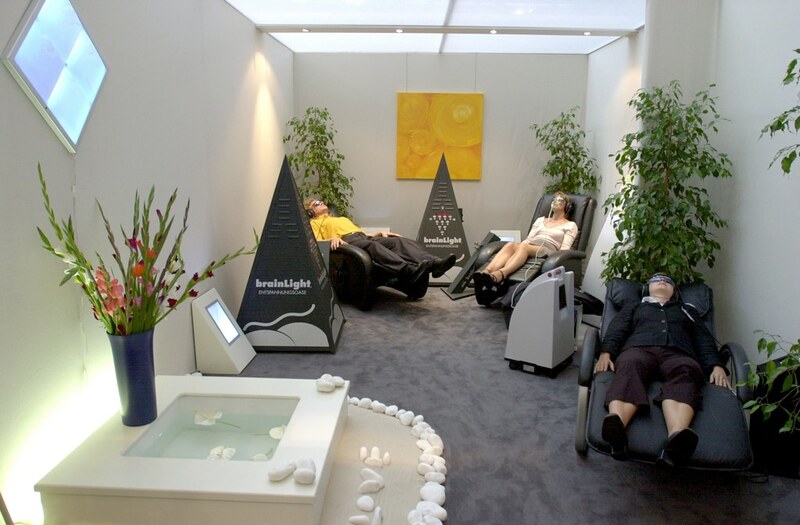 ► Speed : most users (approximately 55%) reach deep mind-body relaxation in only 5 to 8 minutes. This is very useful support in critical incidents management. ► Brainwave entrainment & VAT - promoted relaxation & stress reduction are effortless and very comfortable for the bigger majority of users. ► All methods & applications are compatible with the conventional psychtherapy, counseling or soft-skills training you provide. ► Easy to use equipment - most tools ( with exception of some biofeedback equipment) can be used with very little 1-2 hours initial training. ► In case of need we can provide in-depth 1-2 days training to your staff of HR specialists, psychologists or healthcare personnel. ► Or we can deliver and sell you the proper equipment or remote services according to you needs and goals. ► We can train you or your staff how to use the equipment and the relevant methods in the context of psychotherapy, occupational health medicine, recovery interventions, soft-skills training or EAP counseling. ► We can advise you on the design of mind-body relaxation & regeneration areas in your office, work-site or clinical room. ► and numerous private homes where users needed these technologies to enhance their health treatment & regeneration or to reach better performance states.